The history associated with the name ‘Årsta’ goes back to the late 1200’s or early 1300’s as the main residence for Teutonic Order’s Swedish land holdings. In 1457, the Order sold the property to the Swedish Regent, Erik Axelsson of the powerful Danish-Swedish Tott family who then transferred it to his brother, Knight Laurens Axelsson (Tott). The manor house is built of stone, consisting of 2 floors with a large, partly unfinished, two level attic under a steep, hipped roof. The ‘gate tower’ entrance is approaximately 350 years old and crowned with a lantern style steeple. The attic is home to a variety of bat species and inside the northern gable the hoist used to construct the building has been preserved. The main body of the manor house was built in 1660-1667 by Claes Hansson Bielkenstierna and his wife Barbro Åkesdotter (Natt och Dag). 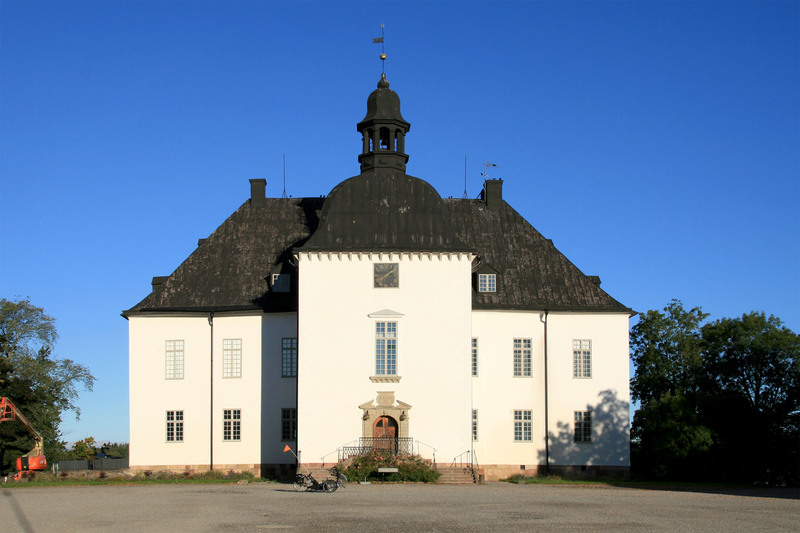 According to legend, Barbro built the manor while her husband was on a sea voyage. When he returned home, he was so furious that he could not view the sea from the new manor that he gave his wife a slap. She is said to have retaliated by having him assassinated by a servant.